Lately, I’ve seen TrackR Bravo ads pretty much everywhere. In fact, they’ve haunted me so much that I finally chose to review TrackR. I think that its success shows clearly that many people have lost their cars in the parking lots. Fortunately, a company from California has launched this gadget, which is supposed to make the drivers’ lives easier. TrackR Bravo is a small sized device and comes with a companion smartphone app. The gadget can be attached to the car, or to anything else you’d like to keep track of. The device can also help people find their lost pets, keys or wallets, provided that it was previously attached to them, of course. The entire set up process takes less than 5 minutes. TrackR is basically a small GPS that can be hidden under a floor mat, for example. This way, if somebody steals your car, you will be able to track it and find it. The device has a very impressive 1 year battery life, considering the fact that it uses a tiny battery. It has iOS and Android device support and ships everywhere in the world. Now that’s a surprising title, isn’t it? Google makes money by displays ads, after all, and not by taking them down! The sad reality is that some people use Google to promote all sorts of products and services that aren’t useful, don’t do anything good, or may even harm us! According to Engadget, Google has removed about 1.7 billion ads last year, an increase of about 200% in comparison with 2015. Close to 70 million ads were advertising pharmaceutical products, another 80 million were deceiving and misleading, while over 110 million ads made use of trick-to-click techniques. About 6,000 Google AdWords accounts were closed during the process. It’s a great start, but I’ve got a feeling that the problem hasn’t been solved for good yet. A new bending screen, which was produced by Japan Display Inc has been presented to the public. 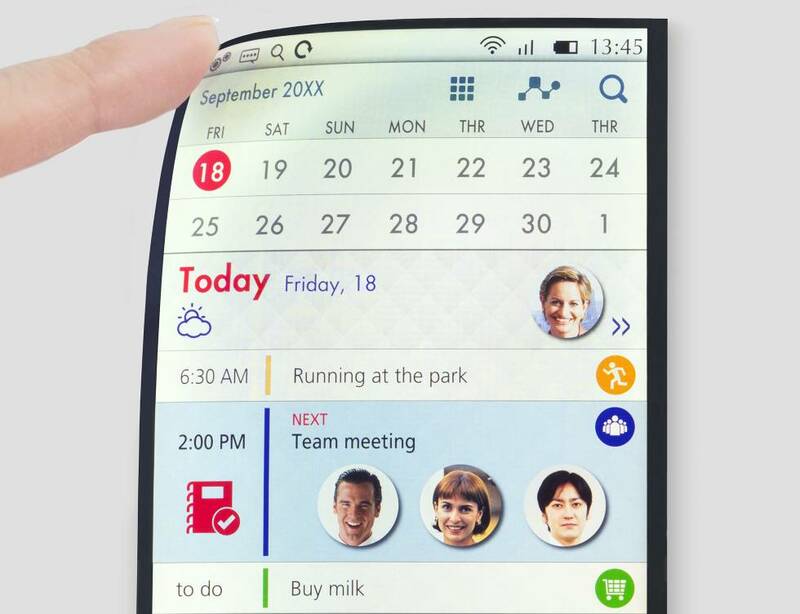 It is a 5.5-inch screen that can be easily bent, just like the new OLED displays which are produced by Samsung and LG. It’s not official, but this new type of screen may be used for the next generations of Apple iPhones. Due to the smaller production costs, we will surely see more phones with curved screens this year. The main problem with the previous generations of LCD displays was the need for a glass back plate, which made curving screens almost impossible. Japan Display has replaced glass with plastic, making it easy for its displays to bend. As an added bonus, the screen will not crack if the phone is dropped accidentally on a hard floor.